Welcome to another fabulous, free digital slide-show, where a wealth of relevant and interesting pictures will be presented by Graham Cook. 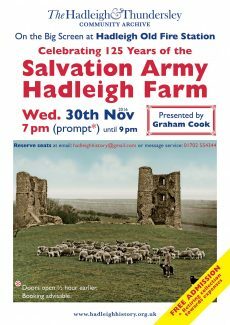 30th November 2016, 7 pm till 9 pm at Hadleigh Old Fire Station – – admission is free; however, booking is strongly recommended. There will be a refreshment intermission. 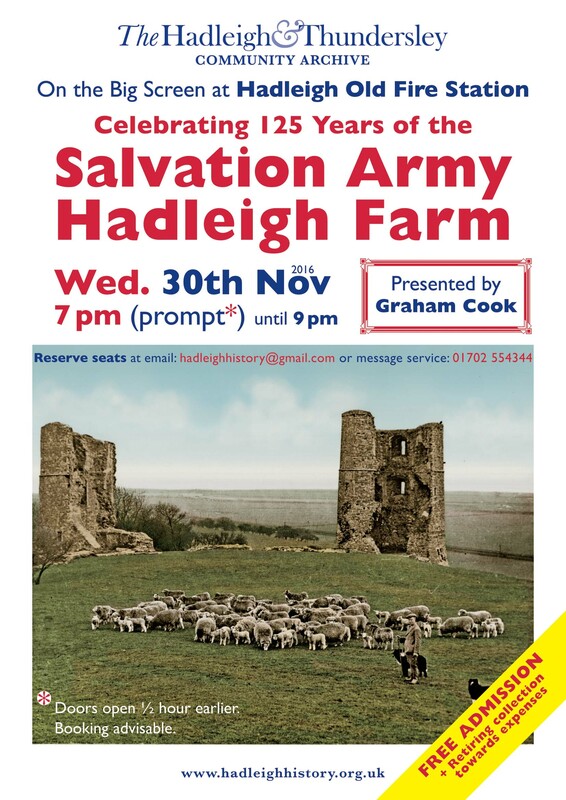 Click on the picture for a larger version, and a better view of Fred Wanstell and his sheep at Hadleigh Castle. Retiring collection for expenses and the possibility of purchasing one or more of the Archive publications for a great fireside read this winter. Saturday 17th September 2011; Official launch!